While all of this is being taught at lessons and practiced at home, I believe it is also essential to include supplementary repertoire that is inspiring and motivating. Many of my adult beginners enroll for lessons with specific goals in mind, and can name their favorite musical genres without hesitation. Their personal goals and tastes strongly influence the music that is selected for their lessons. Children, on the other hand, are still exploring and learning what they personally like and dislike! As time permits, I try to assign supplementary repertoire in a variety of styles as a way to introduce musical genres to my students and emphasize the concepts taught in lessons. 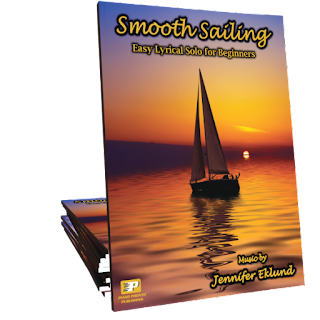 These particular pieces and books are ones that I've taught over and over again because they are so popular with my students, inspire creativity, and boost enthusiasm for weekly lessons. If you don't already own these, I highly recommend adding these fabulous pieces and collection to your students' repertoire lists and to your studio library! They are well worth the investment. When my students finish this piece, they feel accomplished! It is an excellent piece for building articulation awareness, demonstrating dynamics, and reading and playing flats. This piece is perfect for reiterating concepts such as melody in the left hand, keeping a steady beat, legato playing, and overall musicality. My students describe this piece as beautiful, lovely, and soothing. 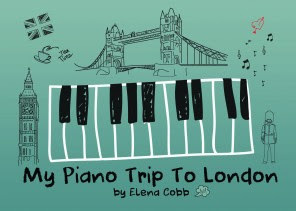 My Piano Trip to London is not just a single piece of music; it is a delightful collection of duets that are perfect for developing beautiful hand position, strengthening the fundamentals of piano pedagogy, and introducing students to blues. These duets are so much fun, that they motivate consistent practice at home. 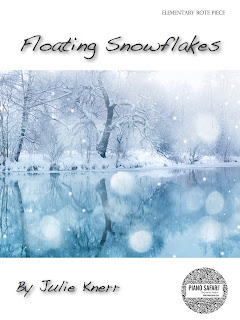 This lovely piece is a favorite during this time of year. I typically teach this piece by rote. 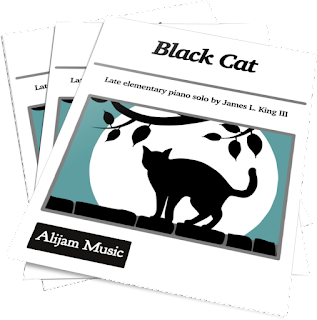 Many of my students become inspired to create their own music on the black keys after learning this piece. 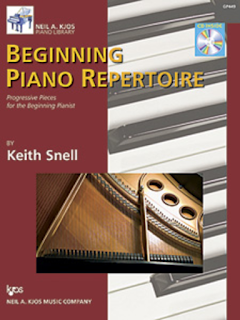 This book offers a solid collection of repertoire designed to strengthen note reading, technique, and introduce students to the wonderful world of classical repertoire. I'd love to hear from you about repertoire that inspires your beginning students! Please feel free to comment below or leave links to resources that have motivated your students.